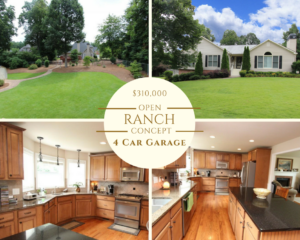 This Open Concept Ranch-Style Home is Better than New on a Park-like Setting! ~TOP Rated Schools ~Do Not Wait! "Leon has sold 2 homes for us and 1 lot, Tina has sold my son’s home. As you can tell the Robbin’s are our Realtors of choice. Jackie and I are convinced they treat everyone who calls for their... continued"